The ‘bedroom producer’ scene might be very different sonically to that of punk, but there are some similarities in character; from its D-I-Y values to the way that it has a tendency to alienate certain audiences (including some ageing punks) who proclaim that it’s not ‘real music’ and ‘there’s no nice tune there’ or that ‘it doesn’t take any talent to make that’. Of course there are some huge differences as well, for this electronic music has no real voice, nothing to say, no anger, it exists passively and is designed purely to lose yourself to. It doesn't make you think about the world or your own values. So let’s get lost with Lo-Fye, another one of those horrendously young (17 years old) UK producers who makes anybody over the age of about 23 feel particularly worthless. His debut EP Chime (released through Bandcamp here – you can get the whole EP for free) takes elements of downtempo, ambient and gentle synth-wave and beckons you to dive in by adding an ethereal ghostly touch. 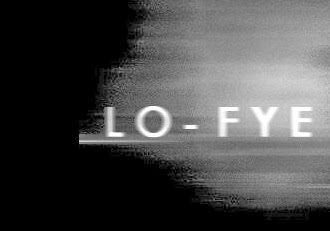 As the world of music continues to dictate that it will spin at a speed so fast that even double bolted seatbelts won’t stop music being lost within just a few days, Lo-Fye is the kind of person that is required to just help slow everything down a little.